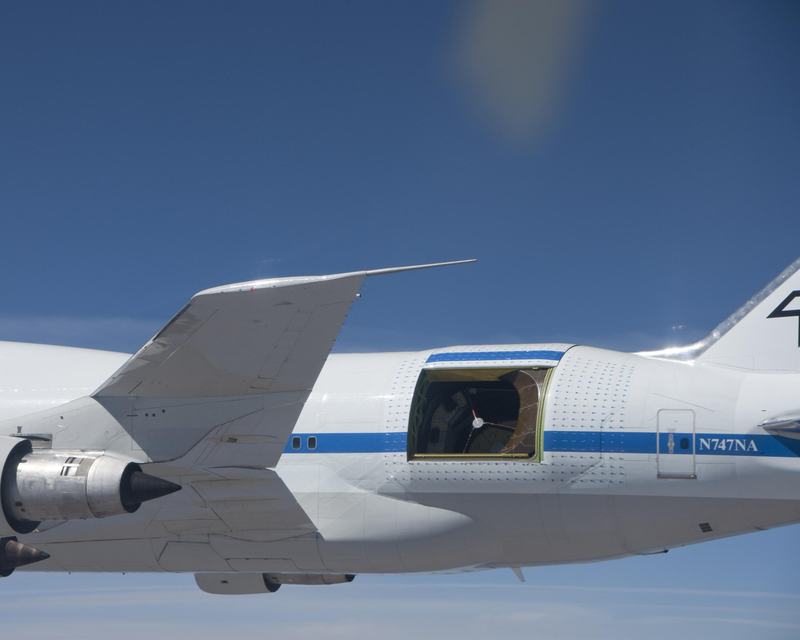 ‘SOFIA’ is a Boeing 747 SP with a Telescope – Basically it’s a Flying Observatory! #NASA « Adafruit Industries – Makers, hackers, artists, designers and engineers! 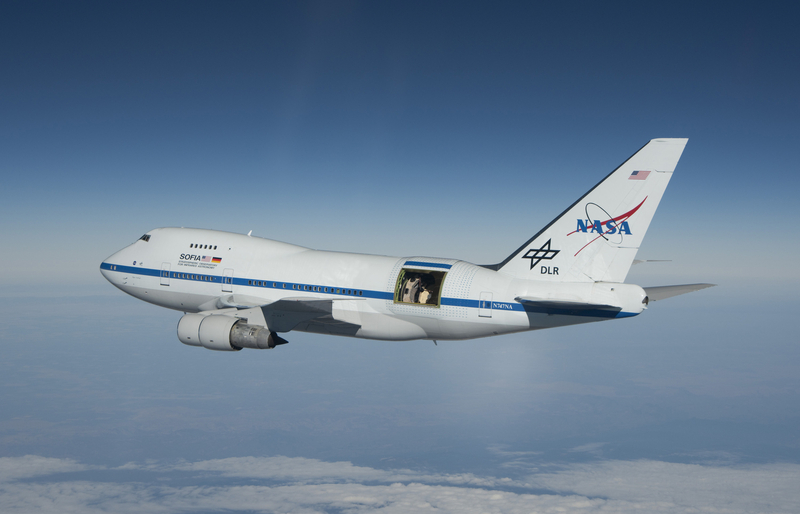 A quarter of the way into its 20-year-mission, SOFIA stands for Stratospheric Observatory for Infrared Astronomy – it’s a 747 outfitted with a 2.5m reflecting telescope; most-impressively, the aircraft’s fuselage has been modified so a door can open during flight to give the telescope optimal viewing of the sky. 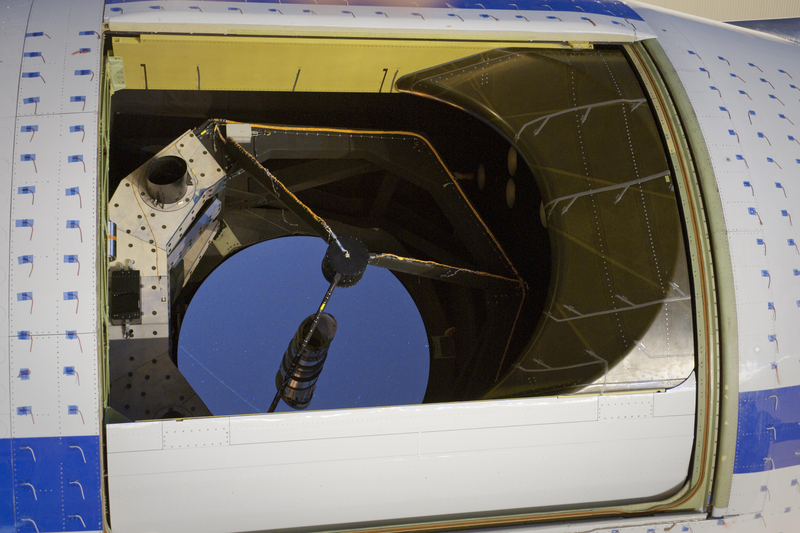 PDFs with plenty more information about SOFIA’s instruments and design can be found here, with more general information available here on NASA.gov. And of course the plane has its own Twitter account! 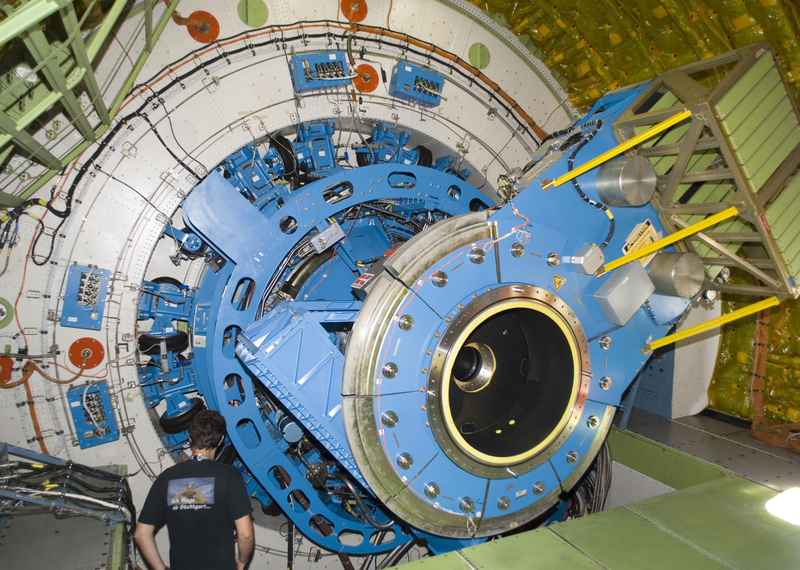 PDFs with plenty more information about SOFIA’s instruments and design can be found here.